This Magnesium drink is a combination of Magnesium, Vitamin C and Apple cider Vinegar. All three ingredients are known super foods with lots of health benefits. Magnesium makes us calmer, improves the quality of sleep; vitamin C boosts the immune system; organic apple cider vinegar aids in detoxing the body. 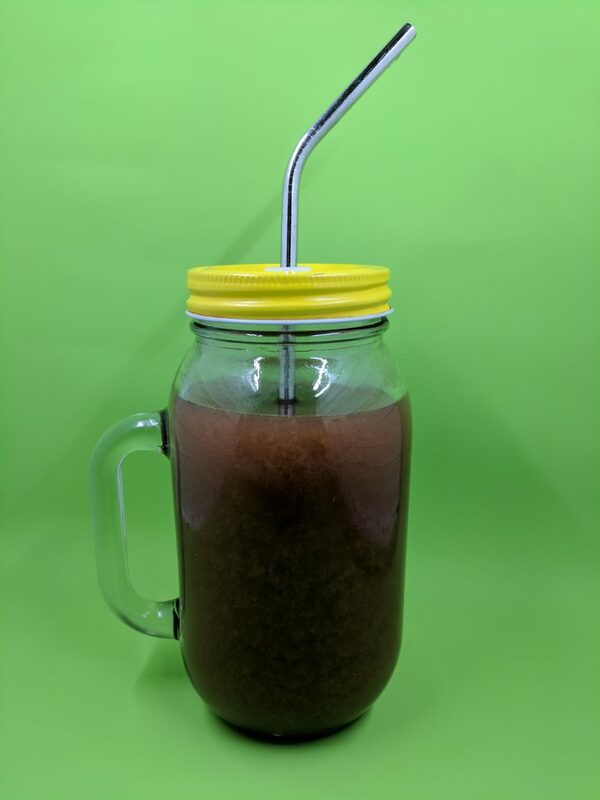 I often make this drink in a 1/2 gallon glass jar and keep in the fridge. The whole family of ours enjoy it very much including the children. The drink gets slightly fizzy over time and can be a great healthy alternative to soda drinks. I love this magnesium drink! Magnesium plays a very important role in the body. Magnesium deficiency is one of the leading nutrient deficiencies nowadays, but often overlooked and rarely tested. Magnesium deficiency can cause anxiety, digestion problems, sleep problems, muscle aches, cardiovascular diseases, liver and kidney damage, chronic headaches, mood swings, tooth cavities, depressed immune system, and many others. The benefits of Apple cider vinegar are endless! This is a must have item in my household. I drink it and use to ferment or soak my grains. Some of the health benefits: detoxifies, good for acid reflux, balances Ph, balances blood sugar, relieves allergies, anti-fungal, cold relief, heals poison ivy, aids in weight loss, and other many health benefits. This is a truly wonderful and miracle stuff! By the way, I noticed that Bragg’s Apple cider vinegar quality is far superior than some other brands. I don’t know exactly why though. I have tried another brand (which said organic and with mother), but did notice it was not so potent so I switched back to Bragg’s again. I use baking soda to lessen the acidity of the apple cider vinegar. I use dark maple syrup (grade B). The darker maple syrup the more nutrients in it. Dark colored maple syrup has a rich flavor. Optional ingredient just for taste. Most ingredients in this magnesium drink are very sour so I always add maple syrup to make it palatable. I sometimes add a half capsule of Iron chelate when I feel I am slightly anemic (my half capsule is about 14 mg). Half capsule is not much making it about 2-3 mgs of Iron chelate per cup of this Magnesium drink. However, iron is dangerous when overdosed, so keep in mind. Please, store the iron supplements away from children. This ingredient is very optional. First mix hot water with magnesium powder. Magnesium citrate will fizz when comes into contact with hot water. Mix in the other ingredients after the fizzing stops. Keep in the fridge. The drink gets fizzy in about 3 days, but you can start drinking right away. The color of the drink will depend on the juice you used. If you do not use any juice, the color will be yellowish clear. UPDATE: I just found out that Magnesium Citrate is not the best magnesium form you should be taking. Magnesium citrate can be consumed sometimes, but not all the time. The above drink is VERY delicious, but please do not make it your everyday drink. 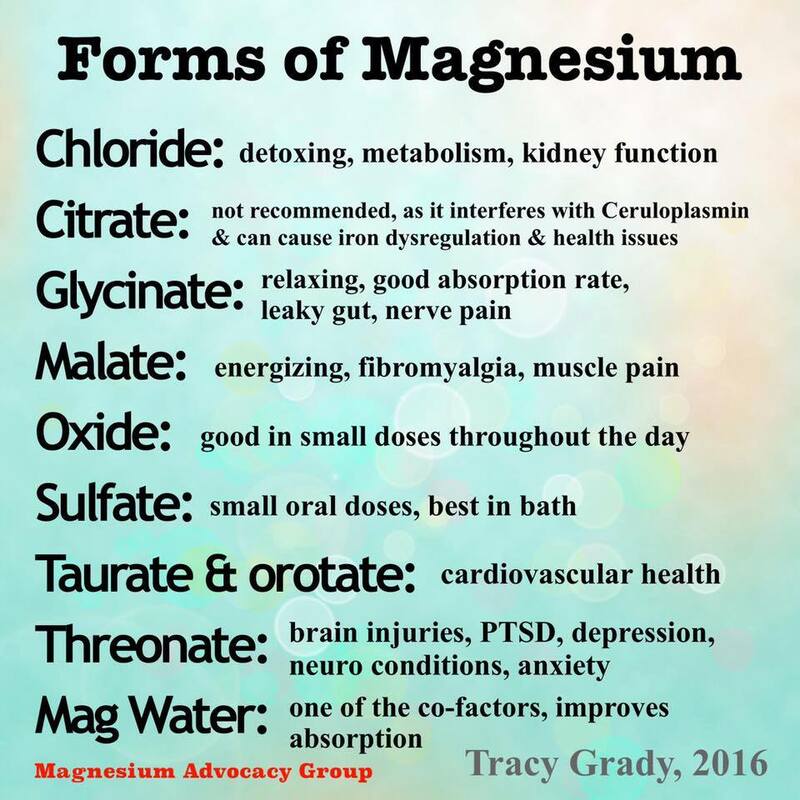 I got the below information from “Magnesium Advocacy Group” in Facebook. It is very informative, so check it out.